First it was HSBC. Then ING. Now Danske Bank. European banks are still uncovering money laundering on a vast scale. Danske Bank (DNKEY), Denmark's largest bank, admitted Wednesday that an internal investigation had uncovered a large number of suspicious accounts and transactions at its branch in Estonia. The bank said the branch handled about €200 billion ($235 billion) for around 15,000 foreign clients, some from Russia, between 2007 and 2015. It said that the "vast majority" of the 6,200 customers it has investigated so far were "suspicious." CEO Thomas Borgen said he would step down once a replacement is found, and Denmark's regulator said it would reopen its own investigation. But the problem isn't going to disappear with the departure of one executive. It's not because the European Union's anti-money laundering regulations are weak. It's that they're not very well enforced. HSBC (HBCYF) agreed in 2012 to pay $1.92 billion to settle money-laundering allegations with US regulators. Authorities said HSBC allowed the most notorious international drug cartels to launder billions of dollars across borders. The case sparked a wave of anti-money laundering campaigns and reforms across the world, including in the European Union. But more cases keep popping up. ING (ING) agreed earlier this month to pay €775 million ($900 million) to Dutch regulators after admitting poor controls allowed criminals to launder money through its accounts. "There are very limited sanctions enforced in some countries and the supervisory bodies at the national level don't always do their job," said Laure Brillaud, an expert on money laundering with Transparency International. The main problem: Europe does not have one single organization charged with stamping out the crime. The three main European financial regulators combined have just two officials working full-time on money laundering prevention. The bulk of responsibility lies with national watchdogs, and some are just not up to the job. "Recent cases in the banking sector showed that they are not always supervised and enforced with the same high standards everywhere across the EU," said Vĕra Jourová, Europe's top justice official. "Our system is as strong as our weakest link," she added. Because of the way the European Union works, once dirty money enters the banking system in one of 28 countries, it can be easily moved around. The European Commission is now proposing stronger rules governing the work of national watchdogs. The Commission wants EU member states to share more information, and for regulators and banks to talk more. Brillaud said that penalties imposed on EU member states that fail to police money laundering properly could lead to better oversight, a step the Commission has not yet taken. Regulators in Europe and the United States have also been pushing banks to do a better job at getting more information about their clients and the sources of their wealth. Jonathan Peddie, a partner at Baker & McKenzie, said that banks have also been struggling to implement effective controls when it comes to money laundering — especially when it comes to foreign clients. "Everybody understands what the law says and everybody understands the perspective that they are supposed to take in respect to the risk ... but it's always been very hard for them to meet the expectations," he said. 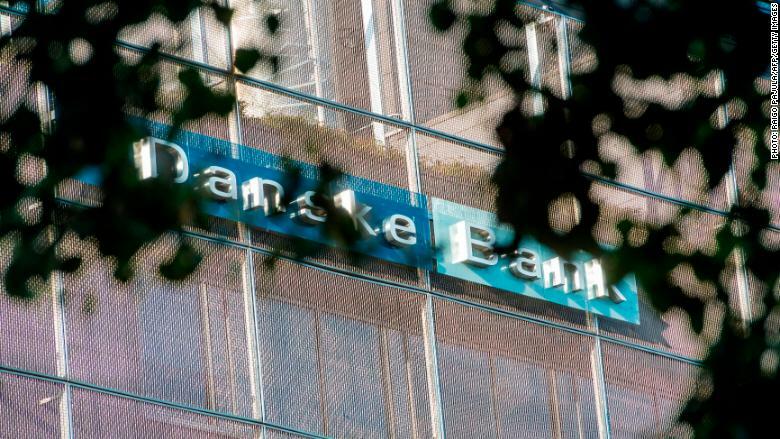 Danske Bank admitted Thursday that the management of the bank had failed to act on several red flags raised by Russia's central bank and regulators in Denmark and Estonia over the years.